In the US, online sampling and data collection firm Research Now SSI is integrating data from its panels with data from Republican and conservative voter file business Data Trust, to offer what it describes as the industry's 'largest voter-matched panel'. Data Trust, which has an exclusive list exchange agreement with the Republican National Committee, provides political data to right-of-center organizations, and its warehouse includes thousands of data points for more than 300 million Americans. Research Now SSI's permissioned panel data includes attributes such as voter registration status, Congressional district, party affiliation and past voting behavior at the national, state and local levels. Research Now SSI has already partnered with several national voter file and data management companies to expand its SamplePlus Voter solution and provide pollsters, PACs, publish opinion researchers and non-profits with political research data. The firm says that as it becomes increasingly difficult to engage voters via phone, its new offering allows pollsters to merge its own online political survey responses with responses from the Data Trust voter files. 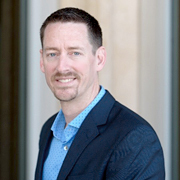 Jared Schiers (pictured), VP of Data Products at Research Now SSI, comments: 'Through this partnership with Data Trust, we are able to offer the industry's largest voter-matched panel. With close to two million unique matched voters in Research Now SSI's panels in all 50 states, we provide researchers and pollsters the same targeting ability and accuracy found in phone voter samples. Strict matching algorithms, updated monthly, ensure the accuracy of data appended and allow pollsters to merge their offline and online samples together'. Web sites: www.surveysampling.com and www.thedatatrust.com .